I love the blade on the Victorinox florist knife. It has a great shape for what I need in my EDC. I do wish though, that it was a little more sturdily constructed. This weekend, I set out to remedy this issue. This knife is really well thought out and well made but I wanted it to be a bit heavier. Also, I am really surprised that they do not put a half stop in the blade. A half stop makes the blade pause at 90 degrees when you are closing it. A nice thing if your fingers might be in the way! 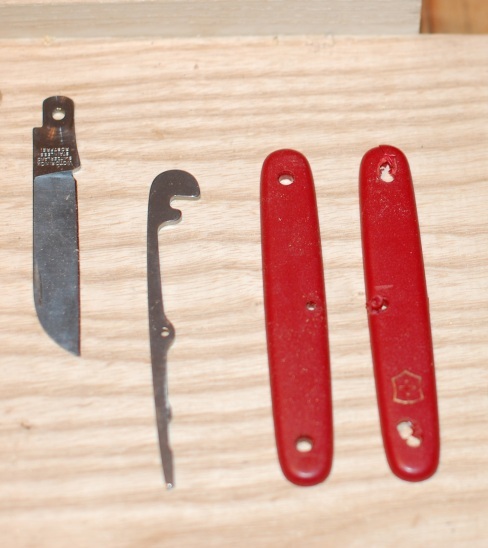 Here are the new brass liners (to replace the light aluminum ones that came on the knife), red liner material, and micarta scale blanks I planned to put on this lovely knife. I also ground a flat on the end of a blade to make that half stop I was wishing Victorinox would have done for me. My knife now has the heft and safety features I was hoping for. My lunch apples are very nervous! 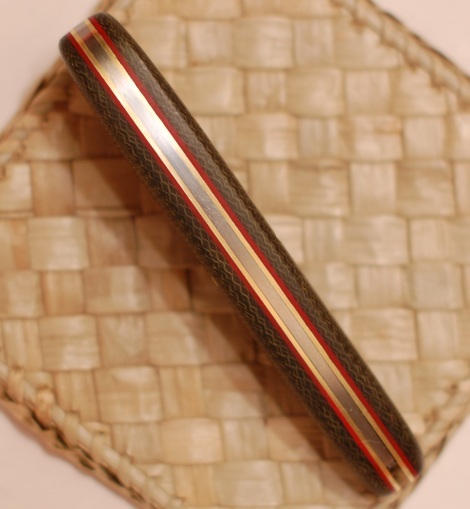 This entry was posted on June 6, 2011 at 3:10 am and is filed under Blathering, knifemaking, metalwork, Tool Making with tags edc, green micarta, knifemaking, pocket knife. You can follow any responses to this entry through the RSS 2.0 feed. You can leave a response, or trackback from your own site. nice job. I have always liked the SAK but thought the plastic was the weekest link. but I never thought of remaking one. great idea, I may have totry one myself. Thanks Stephen. It was a surprisingly rewarding little project. For a couple afternoon’s work, I now have a knife that I love to pull out of my pocket. 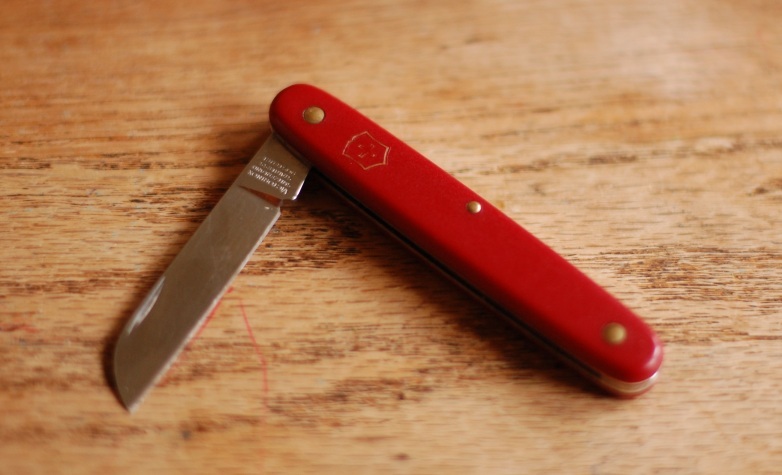 I have a similar Swiss Army knife and would like to remake it like yours. Any suggestions for a newbie? Also, how does the half stop make it safer? How much material is ground off? Thanks – I really enjoy your site. The half stop keeps the blade from snapping all the way shut and cutting your finger if it is in the way. I ground just enough that the spring was just about but not quite flush when the blade was at 90 degrees. On a custom knife, the spring would be flush at half stop but I didn’t know if it would work well on this blade. For suggestions, make sure that your liner material is dead flat. I sanded mine on a trued up granite block. 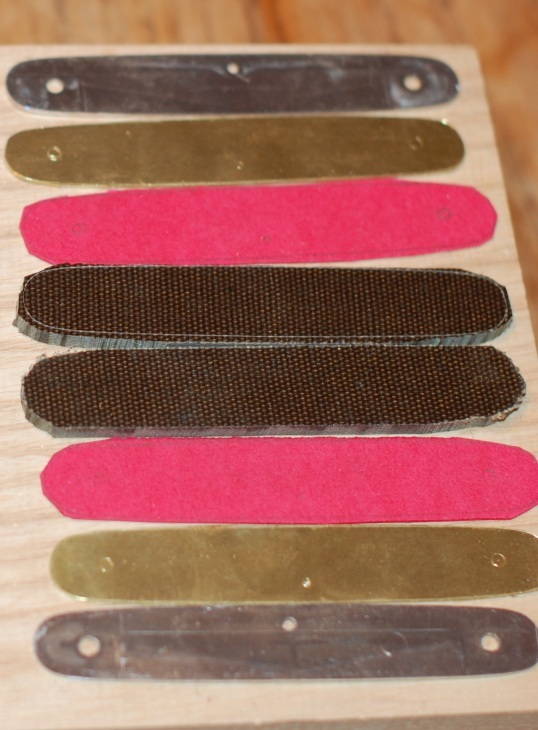 Also, with these knives, the pins are metric so you will have to get metric pin stock to get everything tight. I ended up having to turn custom pins on a metal lathe because I could not find the right sized brass rod at my hardware store. Let me know if you have more questions and please send me a pic when you get yours done. Well done, sir. As you have shown you can improve an already useful knife! I have a soft spot for Victorinox folders also, may have to give this a try. Thank you for shraring your experience with it, a very inspiring read. Hey there-this is some nice work! Did you peen the brass rods or are they just held with epoxy? 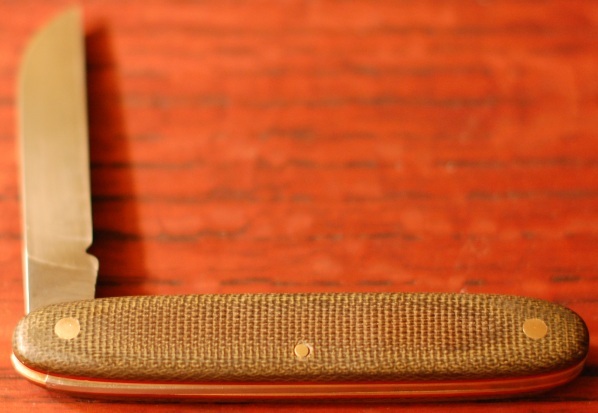 How has the knife held up over the years as far as retaining its tightness? Thanks for the compliment. I countersunk the outer scales a bit and peened the brass rods into the depressions. After that, I sanded and buffed smooth. It has held up great now for years, not wiggly yet.